Worldwide over 30 million girls have never gone to school. Barriers, including child marriage, cost of educational resources, and household responsibilities, limit a girl’s ability to attend school or family’s willingness to allow her to. In many communities and countries, girls may never be allowed to complete or even to begin schooling in the first place. 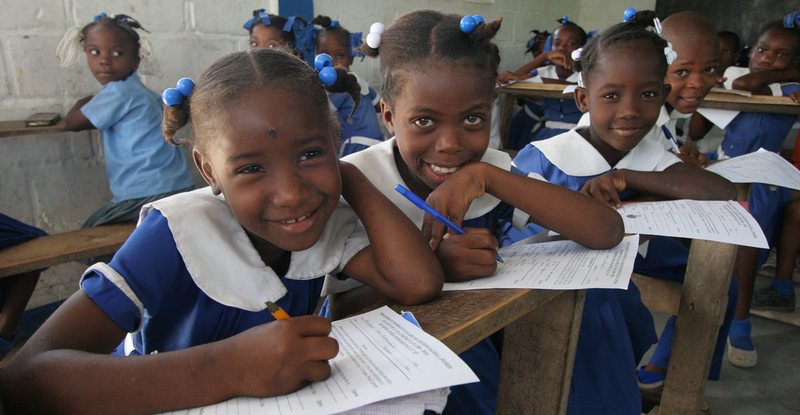 At buildOn, we recognize that entire communities benefit when girls attend school. This is why gender equality is a cornerstone of our methodology. From the beginning of each school construction project we champion the rights of women, emphasizing gender balance in the project’s leadership as well as school’s attendance. We remember this all the more on International Day of the Girl Child. This day is celebrated annually on October 11 as a global celebration of females and an opportunity to create awareness of the challenges girls face. It is dedicated to promoting girls’ human rights, highlighting the inequalities remaining between girls and boys and addressing the various forms of discrimination and abuse suffered by girls around the world, according to UNWOMEN. Take the community of La Hatte, a village in the southern municipality of Torbeck in Haiti. A new buildOn school was recently constructed in La Hatte. The school stands in striking contrast to the conditions La Hatte’s students used to learn in. It will protect students from the impending rainy season and give them better conditions to learn in. It also advances gender parity, due, in part, to the fact that community members are committed to increasing female enrollment since signing a Covenant with buildOn. Change began when the Haitian Ministry of Education introduced buildOn to the community members, who quickly began collecting materials for the school to prove their commitment to education. They agreed to do their best to challenge and change the gender disparity and they were soon selected to partner with buildOn in order to construct a new school structure. Over the 10 weeks it took to build the school, buildOn and the community’s Project Leadership Committee made plans to ensure that community volunteers would work alongside skilled workers to build the building. The school, designed by Architects Without Borders, has reinforced columns and beams and an attached roof, built to withstand hurricane force winds and earthquakes. The rooms are large and windows let in ample light to improve the learning and teaching experience. The community also strategized how to increase the number of girls coming to school. There are approximately 240 students enrolled in the school, including 99 girls – 41% of the school’s enrollment. Before construction, only 65 (36%) of the school’s 181 students were girls. Many girls who do go to school often don’t have a clean, private toilet, but the students at La Hatte do. A lack of proper sanitation causes children to miss over 200 million combined school days a year. Girls often face stigma from their male classmates, highlighting the emotional impact that a lack of proper toilets has on girls and how private, gender-specific latrines is a simple step that make schooling more accessible for girls around the world. 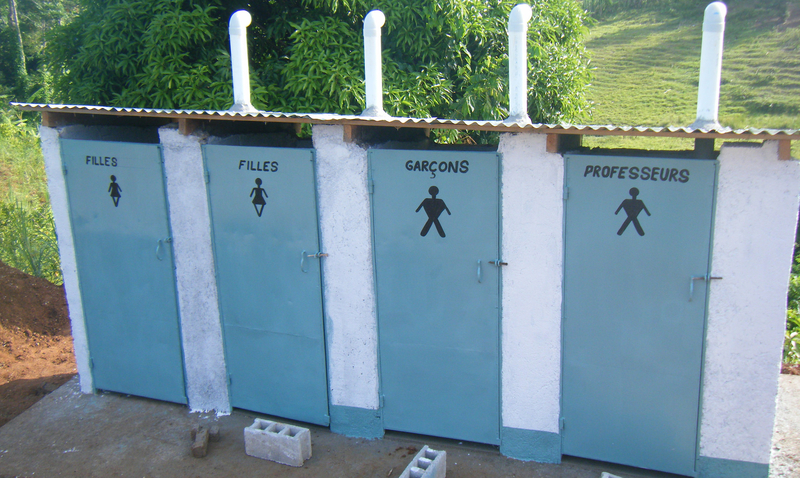 Fortunately, the new La Hatte school was built with dedicated latrines for girls.